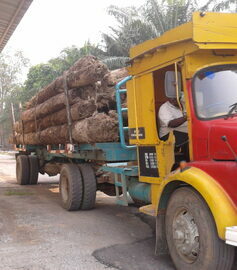 Benefits | TrunkbusterTM,world's most efficient Oil Palm Trunk Pulverizer. 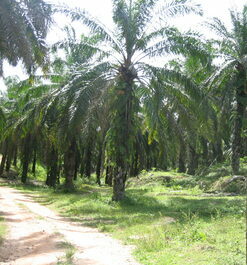 Oil Palm Trees require replanting every 20 to 25 years. At this stage the average height ranges from 7 to 10 meters, average diameter ranges from 450 to 650 mm. Time and Cost incurred for "chip and stack" of trunks. Chipped material becomes breeding ground for pests. Ganoderma infected tissues remains ​ within field. More skilled labour needed to keep chip thickness below 4 inches. More wear and tear to excavator from hammering action when chipping. Reduced Time and Cost if no "chip and stack". No chipping reduces pest breeding ground, reduces pest control costs. Infected Ganoderma tissue completely removed out of field. 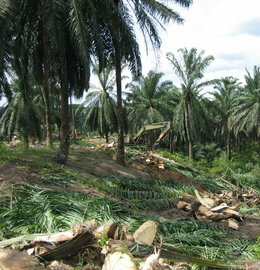 Less skilled labour required for land clearing. Less wear and tear to excavator reduces maintenance downtime, increasing productivity of excavators in field. ​Removed trunks can be pulverized in a factory for further down stream processing.